The increasingly popular FIA Formula E electric car championship is about to land in the Eternal City, as Rome hosts the first ever Italian E-Prix through its city streets on Saturday 14 April. Formula E has been showcasing electric powertrain technology for the past few years and now, in its fourth season, is maturing with a growing number of heavy-weight partners and sponsors. Porsche and Mercedes have just been formally approved as manufacturers for future seasons, while BMW and Nissan have also announced their entry in the coming years. Notably, Audi and Jaguar – the only two European car makers with long range production EVs on the market this year – are already racing with their official teams along names such as Renault, Nio and Mahindra. 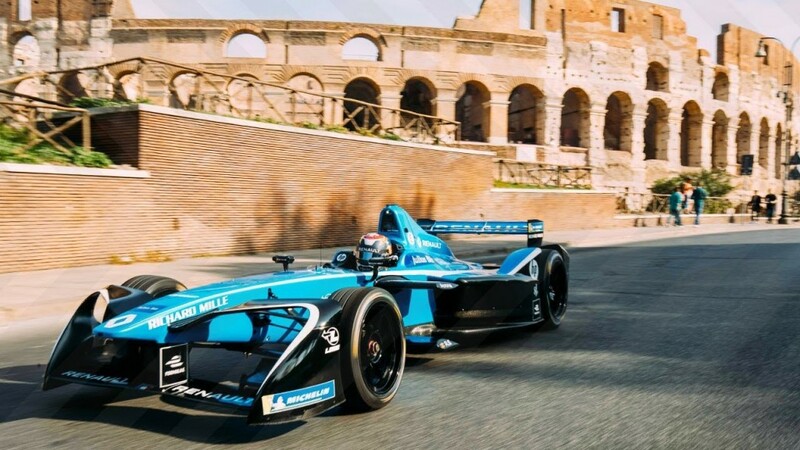 The championship finally makes its way to Italy and into a stunning set, sure to bring much needed attention to the theme of electric mobility in a country whose EV market is the second worst in Europe after Greece. This is despite Italy’s renown environmental consciousness and lead in renewable electricity generation (solar power alone accounts for almost 8% of annual demand). While the likes of Norway, France, Germany and UK are leading the electric car market with 2017 sales in the tens of thousands (Norway tops with over 33,000 EVs sold last year), Italy is still lagging way behind with figures one order of magnitude smaller, at an underwhelming 1967 units sold last year. To put it in perspective, Italy is a 2 million cars per year market, so electric vehicles counted for a meager 0.1% of total sales. If this sounds bad, you’ll be happy to know it represents a 43% increase on the abysmal 1377 electric cars sold in 2016 and hopefully is revealing of a consolidating trend: electric car sales in Italy for the first quarter of 2018 are up 71% over last year’s and have already reached around 1,000 units to date. The reasons for Italy’s lackluster EV sales are multiple but fairly easy to sum up. The most popular car models in the country tend to fall in the smaller and cheaper segments, which have not yet been addressed by the growing but limited offer of electric cars. Also, the charging network in Italy is relatively small, with some 3,000 charging stalls scattered throughout the country (but Italian energy giant Enel plans to install 14,000 new stalls by 2022). Another constraining factor is the standard limit of households’ electricity meters, which are usually set to trip above 3kW, something that can easily clash with EV home charging solutions (basically, an upgrade is required if you want to charge your car at home while using electrical appliances). 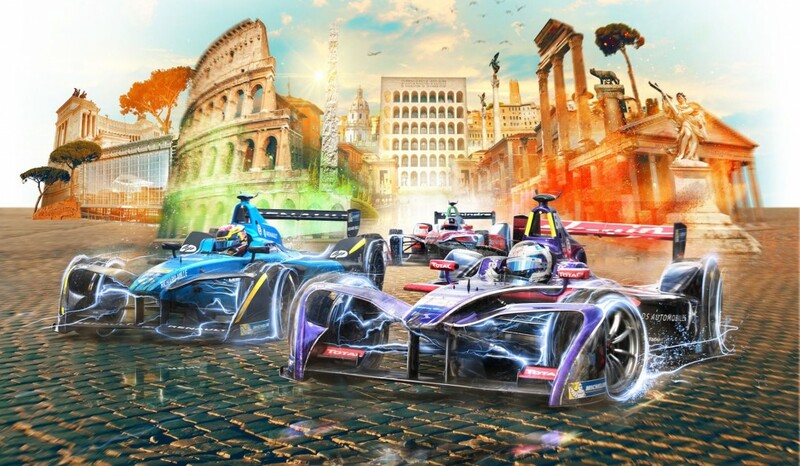 Despite this background, momentum is growing in the segment and the Rome E-Prix is testament to the changing tide. Interest in the Formula E event is unprecedented and set to greatly increase the little awareness that has so far prevailed on the subject. Italians love their races. Mercedes is now also a major partner to Formula E and starts promoting its EQ electric brand at this very event. Electric car sales in Italy could easily double up to 4,000 units this year, in similar or better fashion as booming northern European markets. Rome’s E-Prix is sure to give a boost too. With new offerings such as the 2018 Nissan Leaf and the Smart electric cars, as well as the coming Hyundai-Kia EVs, Audi e-tron and Jaguar I-Pace, the choice is greater every month. And Tesla’s Model 3 has not yet landed in Europe. The race is – literally – on. This entry was posted in Environment, Green Cars. Bookmark the permalink.